I can’t believe for all the trips that I have done with the kids in the past 15 yeas, I have never been to this park. I would drive by it daily on my way to Rutgers for years, and I never noticed it. It is most definitely worth a notice. 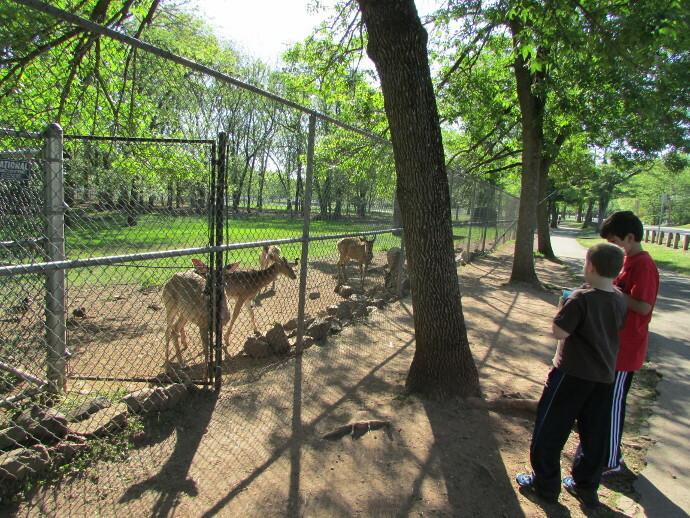 Most recently we visited Johnson Park with my little one and his friend. We had to wait for the big kid around that area, and decided that the park would be a good place to meander in for a few hours. It was that. 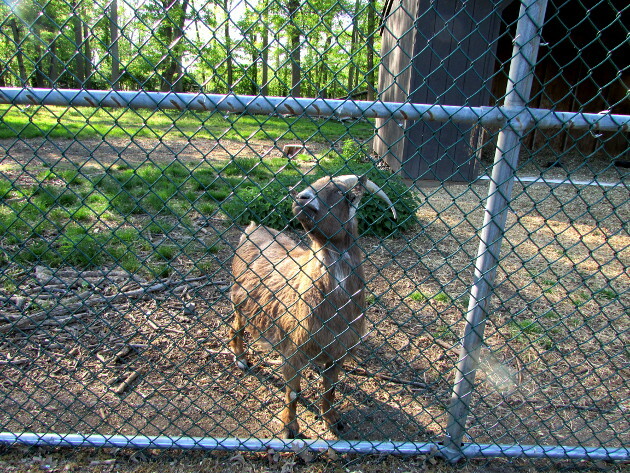 Johnson Park is home to Johnson Park Zoo. Well, it’s not a zoo in a way that you might be used to. It’s actually an animal haven. The animals are just regular animals: goats, horses, deer, rabbits, pigs, and more. They are fun to see, and the look happy there. There is a stand where you can by animal feed for a few dollars. You can also get Italian Ice, but don’t buy it at the same time as animal feed. You want your hands free to feed the animals. 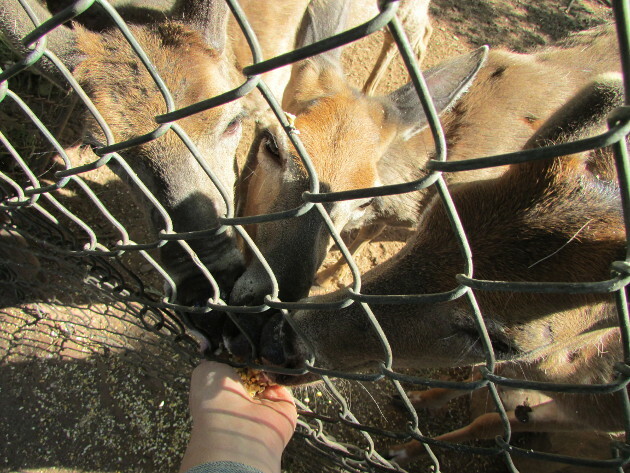 My advice, if you want to eat something, do it before you feed the deer! 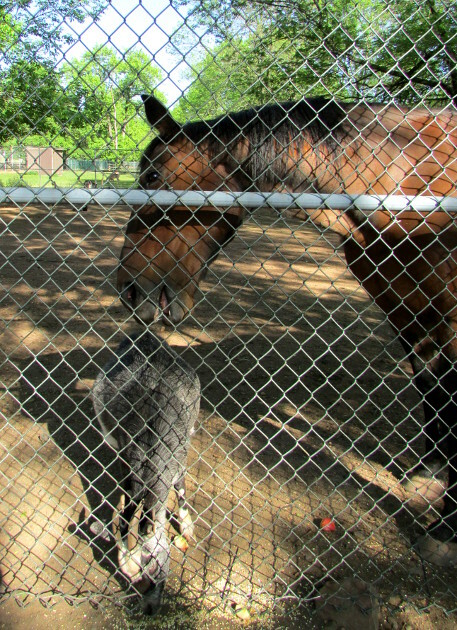 The animals are very friendly and used to humans. 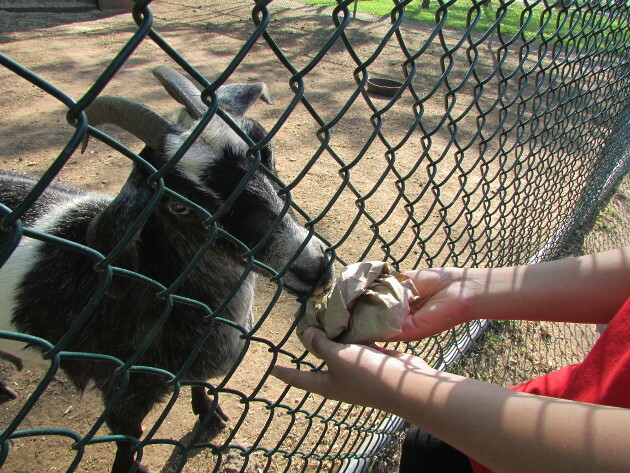 The deer are fun to feed, but the goats took the cake! Those guys are funny. They interact with you and with each other, and in many ways act like puppies. I think I had the most fun with them. The park itself is quite large. It sprawls along the Raritan River. You can walk on the promenade that runs along the river. We also saw quite a few fishermen. 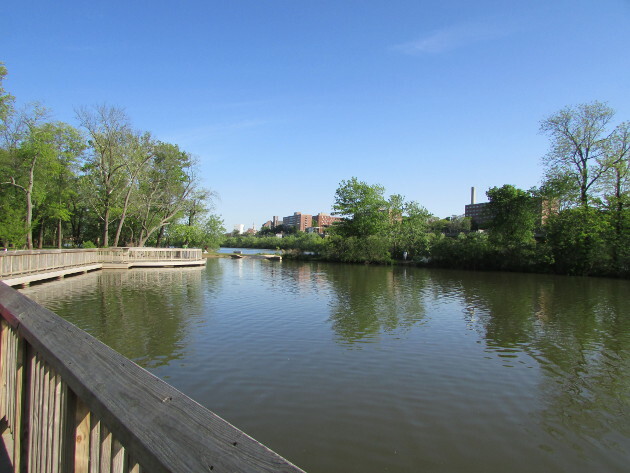 Raritan River wasn’t at it’s cleanest, but that’s nothing new. 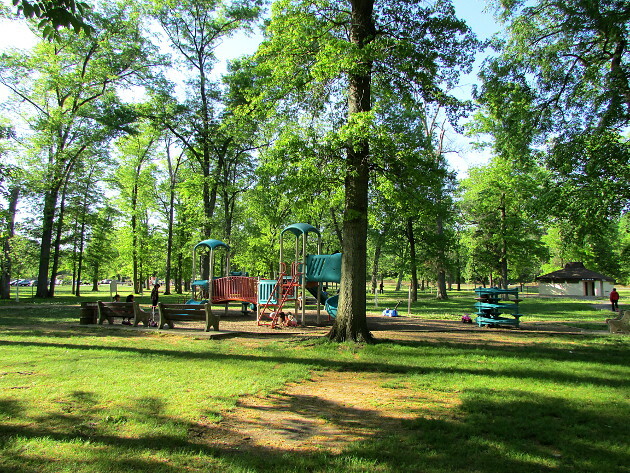 You could also choose to take a walk or a run on the many wooded acres that comprise the park. The whole thing is 473 acres! That’s a lot of walking space! There are two playgrounds for the kids to enjoy. The playgrounds were just good regular playgrounds, nothing special to write home about, but the kids did enjoy them. Here is the question of the day. Would I drive 40 minutes (that’s what it takes for me to get there) to go to this park for a few hours? I would if we were meeting friends there. I would also stop in this park if I went to NJ State Theater for a play, or blow off energy after a trip to Zimmerli Art Museum. 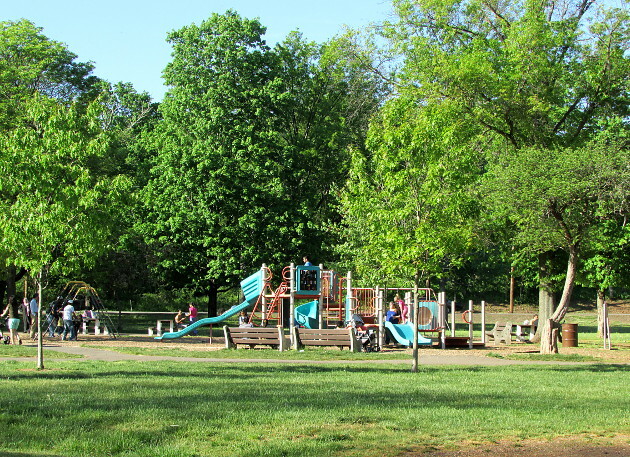 With so many things you can do in the neighborhood, this park is a nice addition to many activities.